Better than new on .79 acre lot! BETTER THAN NEW! Lovely 4 bedroom/4 bath home with large bonus room plus office/flex space! Relax on your rocking chair front porch or screened in back porch overlooking the .79 acre yard w/firepit, sod and established landscaping. 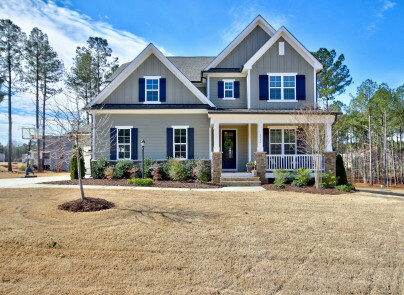 Open "Austin" floorplan features a huge gourmet kitchen with oversized island & keeping room. 1st FLOOR MASTER & 1st FLOOR GUEST SUITE W/FULL BATH! Lots of windows & natural light. Office has closet & could be used as a 5th bedroom (4 bdrm septic). Neighborhood construction is complete so no contractor work trucks and mess! Huge unfinished storage and 3 car garage.